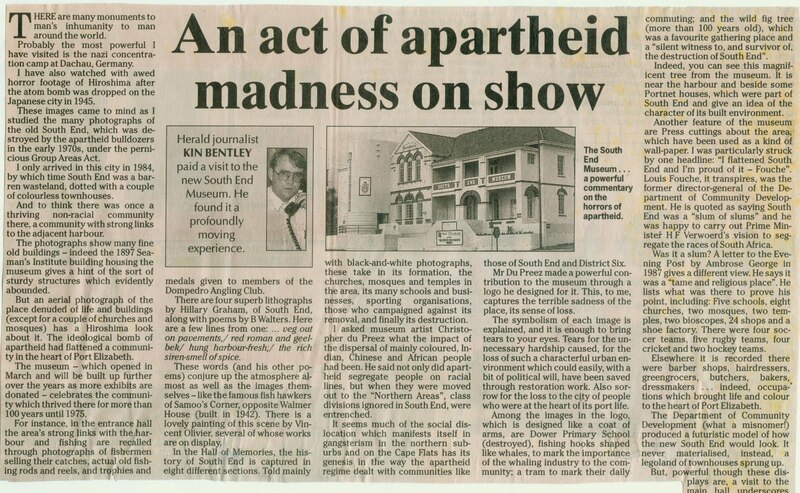 District Six in Cape Town is the best known example of forced removals under apartheid, but in Port Elizabeth South End and several other areas were similarly destroyed. 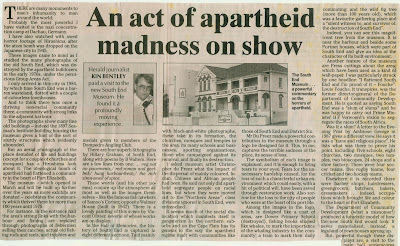 In this selection of articles published in the Herald in 2001 I again wade into the debate on Zimbabwe, while there is also a piece on the London Underground and an art review. The final part of the South End piece. 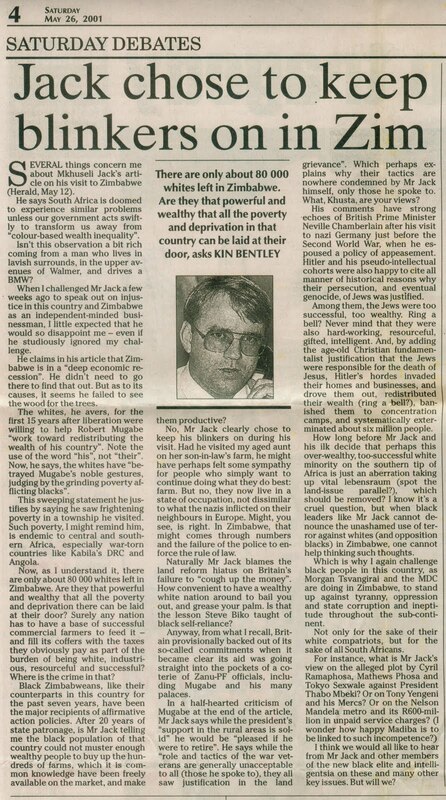 My public debate with Mkhuseli Jack over Zimbabwe continued apace. 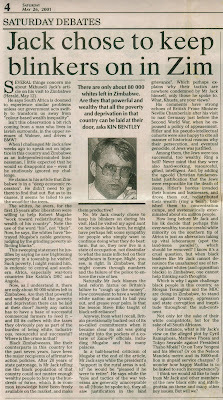 Another broadside in the debate over a failing Zimbabwe. 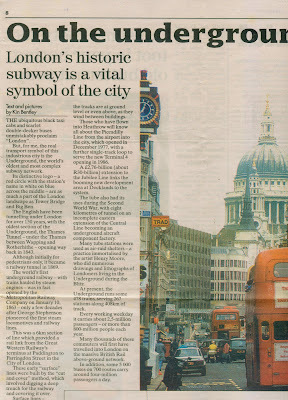 I spent 1990 and 1991 working in London, where the Underground was a godsend. This article continues below. 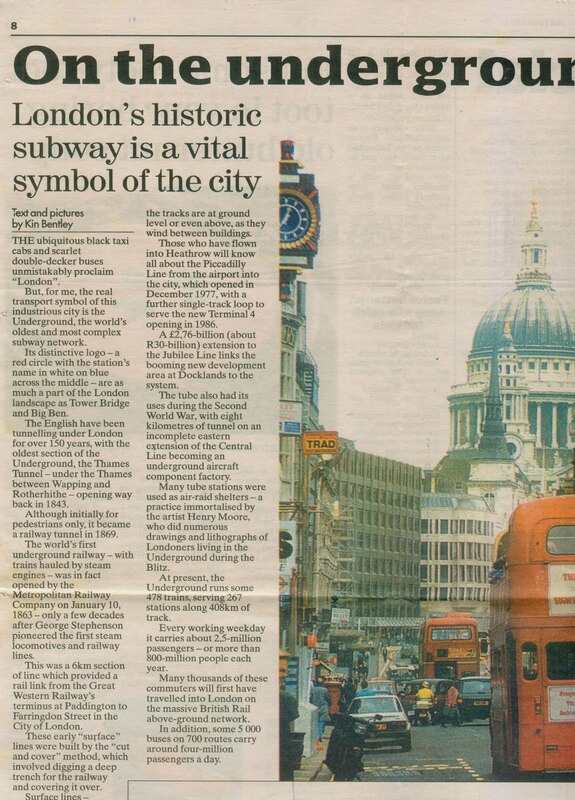 The picture above is of a stretch of Fleet Street, with St Paul's behind. The remainder of the Underground article. 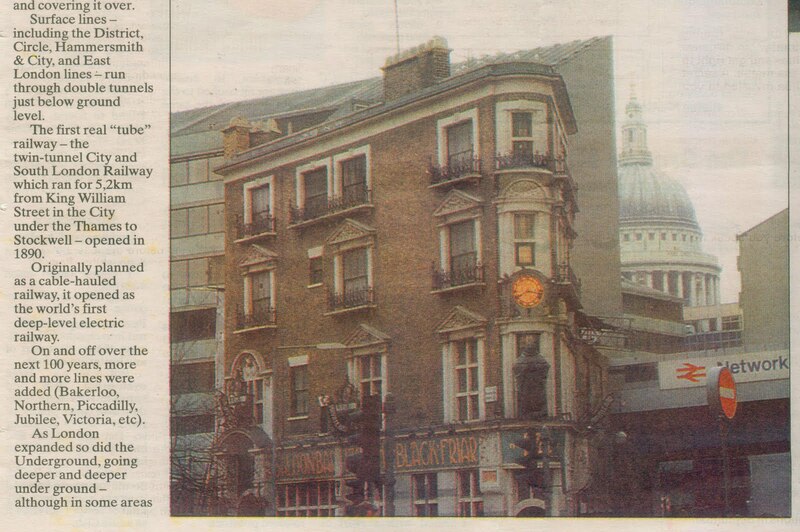 This is The Blackfriar pub near Blackfriars Bridge over the Thames. 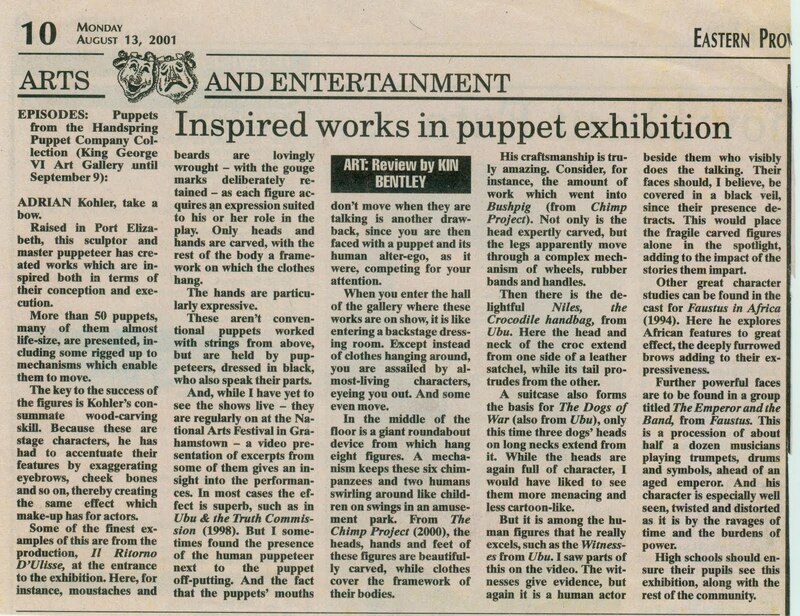 I did hundreds of art reviews during the 1990s and first decade of the 2000s, but am not posting them at this stage. 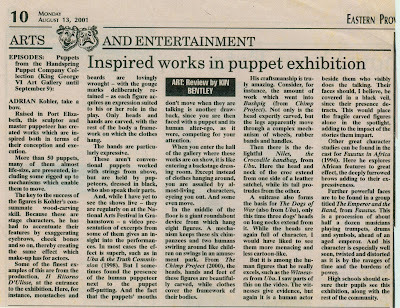 This, however, is a review of a show by Adrian Kohler of the Handspring Puppet Company and is somewhat topical since Kohler and his partner won a Tony Award recently.